How Are Vocational Experts Used in a Social Security Disability Hearing? When you file a Social Security disability claim, you may wonder how exactly the government refutes your evidence. In almost every hearing, the government does not have Social Security lawyers there to argue on its behalf. So what evidence does the government present and how does it present it? In most disability hearings, the central argument will be whether there are jobs in the national economy that you could do despite your medical conditions. If there are, your claim for disability will likely be denied. The government presents this evidence through what are known as vocational experts. In most cases, the court (that is, the judge at your hearing) will ask a vocational expert his or her opinion as to what kinds of jobs exist in the open economy in substantial numbers that may be suitable for employment given your age, education, transferable skills, and medical/psychiatric conditions. If a judge finds you can work even unskilled sedentary work, you are not disabled. The types of supposed available jobs in the open economy are contained within the Dictionary of Occupational Titles (DOT), which is outdated. For example, the DOT still includes jobs like a “letter opener.” This is surely a simple job that anyone could do, even someone severely disabled. But how many jobs are there for letter openers? Do these jobs even actually exist, or are they actually full-fledged secretaries—a very different, and more demanding occupation? 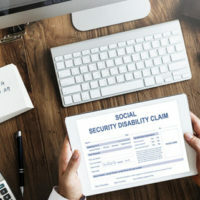 You’ll hear these experts say that disability claimants can be silverware preparers, or security camera monitors, or parking lot attendants when technology has usurped the need for people. Experts also may not take into account your specific disabilities. For example, the expert may say that you could answer phones all day, and perhaps, based on your physical limitations, you could do that. But is the expert considering the side effects of your medication make you too tired to work a full day? Is the expert considering that someone with, for example, PTSD, may not be able to deal with hostile or aggressive callers? Is the expert considering that a claimant who needs to visit 4 doctors a month will miss too much work to keep any real job? The Social Security Administration usually denies your initial application for disability requiring an appeal within 60 days. Contact us today for a free consultation about your appeal. Call the Celeste Law Firm in West Palm Beach today to discuss your disability case.